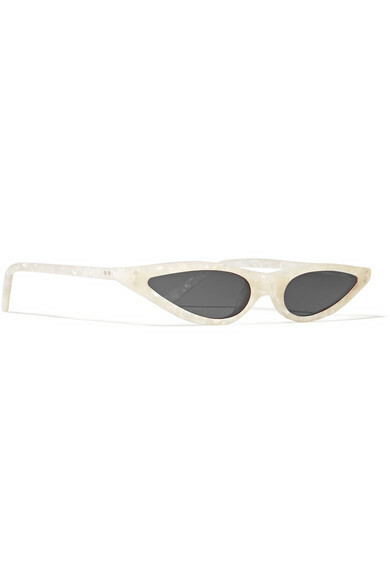 George Keburia's sunglasses combine two of our favorite eyewear trends: cat-eye and micro Matrix-style proportions. 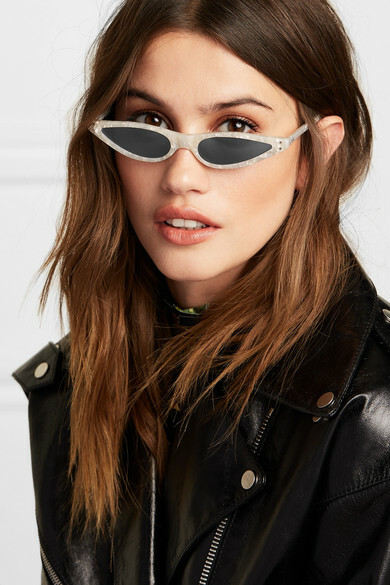 Offering 100% UV protection, they're made from white acetate that has the same marbled finish as the accessories from the Fall '18 runway show. This super cool pair comes in red, black and tortoiseshell, too. Shown here with: Rokh Biker jacket, Kenneth Jay Lane Earrings.